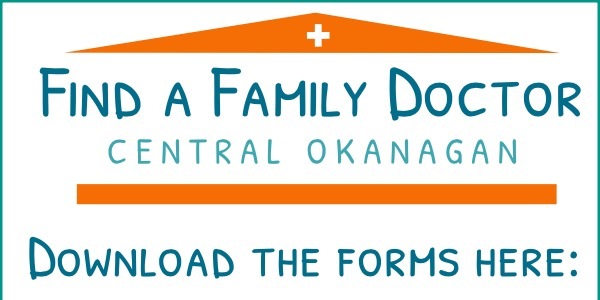 The Central Okanagan Division of Family Practice includes family physicians from Kelowna, Westbank, Lake Country, and Peachland. 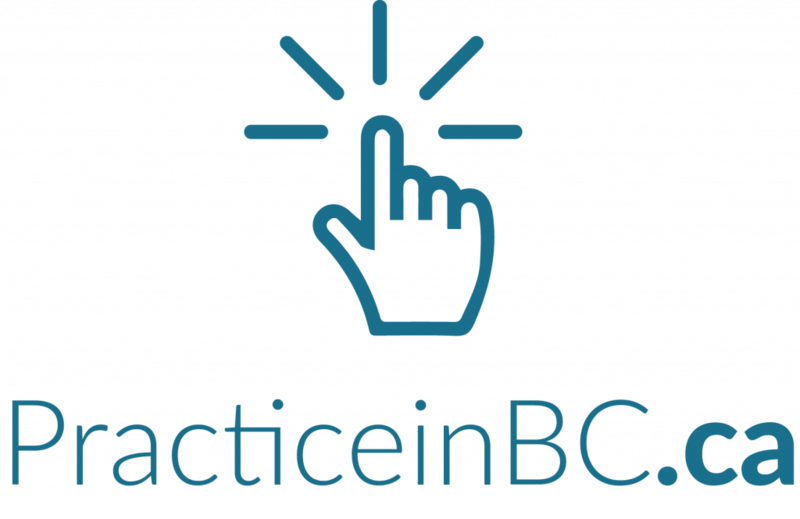 The Division is a non-profit society governed by local family practice physicians who identify areas to improve care of patients with its members and work with partners towards solutions and results. The organization gives member physicians a stronger voice in improving patient health care in our community, and provides opportunities to work with partners such as the Interior Heath Authority, Ministry of Health, GPSC, and other community organizations. Access three helpful posters on how and why a good relationship with your GP makes sense! 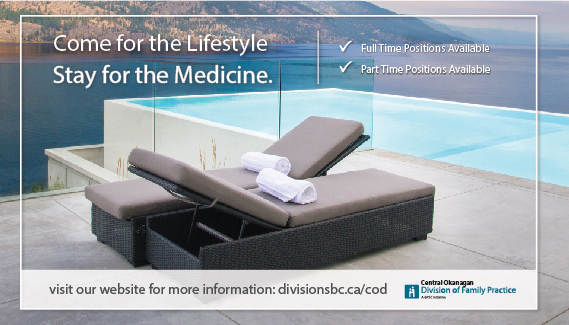 Visit the Kelowna Medical Society website.